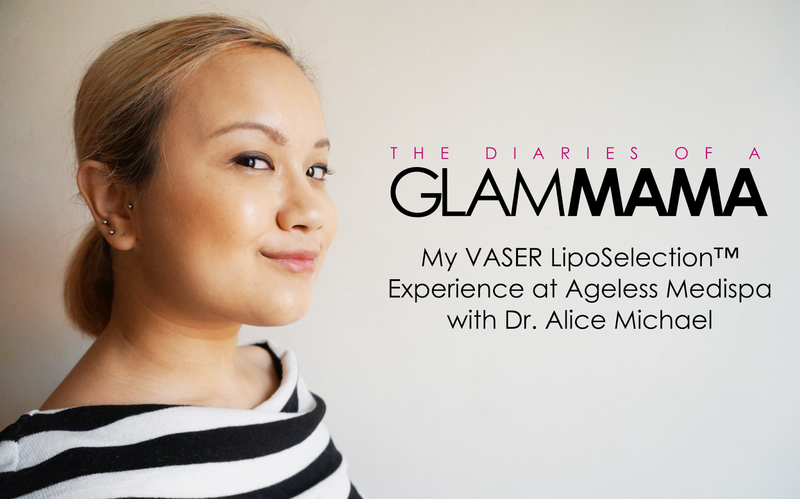 As promised, here is my experience of Vaser LipoSelection in my double chin area! On October 3, I went to Dr Alice Medispa in Bangsar and was greeted by these smiling faces. I was kind of nervous, mostly about the recovery than anything else. I knew I’d be in good hands with Dr Alice. Anyway, after waiting a few minutes, I was taken to a room to get out of my clothes and into this fabulous fluffy pink robe. After I answered some questions about existing conditions and allergies, I got my photo taken from several angles (thank you Zarina and Charmaine for the shots!). Like mugshot, right? Hahaha. You can see the double chin here (along with my eyebags and massive “baby face” cheeks). Then I was given a pill to relax me. It worked. LOL. I wasn’t out of my mind high, just super chill. It was really nice, actually. Then I was taken to the operation theatre, which is where I started to get nervous. Luckily, I was distracted by the task of taking off all my ear jewelry. As you well know, I have quite a few, and they are actually tricky to take off and put on, because they’re barbells that have to be screwed on. So that took quite a while! Anyway, after that, they checked my blood pressure (low, probably because I had to fast since the night before) and started an IV line. Then Dr. Alice marked my face, which is meant to show her the specific areas that she needs to aim for during the procedure. I knew from my consultation that I will not be under general anesthesia, which is important for me because frankly GA freaks me out. Instead, I was given a rather heavy sedative that caused me to sleep throughout most of the procedure, though I remember going in and out of consciousness. This is what they call “twilight sedation”. Mind you, it had nothing to do with sparkly vampires. I felt no pain, just pressure around the area they were working on. For example, I DO NOT remember having my eyes closed like in the picture above, but as you can see from the picture, apparently I was happily awake! I was informed later that I had been remarking about how Ryan Gosling broke so many hearts by having a baby with Eva Mendes, and how Zoe Saldana is pregnant and her baby daddy it a total hottie. Ah, important things that float around my mind, ready to come out when I am semi-conscious, LOL! So basically, Dr. Alice made two tiny incisions just under each of my ears (as you can see in the picture above). Then she puts in a special saline solution called “tumescent fluid” and waits for 10 minutes while it works “to numb the area and shrink local blood vessels. It also temporarily expands the volume of the target area, making fat cells easier to remove.” (Source: Vaser.com). Then, she gets to work with her special probe, as seen in the picture above! You can also see the port to protect my skin from the heat of the probe – it’s that yellow thing near my skin. The probe is a high thermal index treatment (meaning it is very very hot), which also helps to tighten my skin in time. Then, the fluid and the fats are taken out like in the photo above! You can see the fluid and fat cells in the cannula right? So gross OMG. And, I’ve left out the gory pictures too! LOL. These were the least gory ones I can find. All in all, the procedure took two hours. After all was done, the nurses helped me walk to another room to sleep off the sedatives. Man, I slept sooooo well. If I could sleep like that every night, I would be in the best mood every day. So so so good. I mean, wtf is that?? I look like a chipmunk! Hahahah. I would not usually share such an unflattering photo on my blog but for the sake of sharing, here you see me at my very worst. I don’t blame you for laughing – this picture still makes me laugh! The beautiful Dr. Alice (seriously, she always makes me feel frumpy. Lady is on point every time I see her!) came to see me before I left to talk about how my surgery went. Apparently my fat was especially stubborn. This didn’t surprise me, since it explained how nothing else has worked to remove the fat. But what did surprise me was that the previous treatments were probably the reason my fat cells were so dense. Apparently "virgin fat" is way easier to remove. She also told me that I had a couple of stitches at the incisions under my ear, which will have to be taken out after a week. She also talked about post-operative care, and gave me antibiotics, pain meds, and anti-inflammatory meds that will help with the swelling. I know the bruising looks super intense, but I didn’t feel any pain. In fact, the entire area under my chin was numb! In my next post, I’ll share my post-operative recovery during the first week, so stay tuned for that!